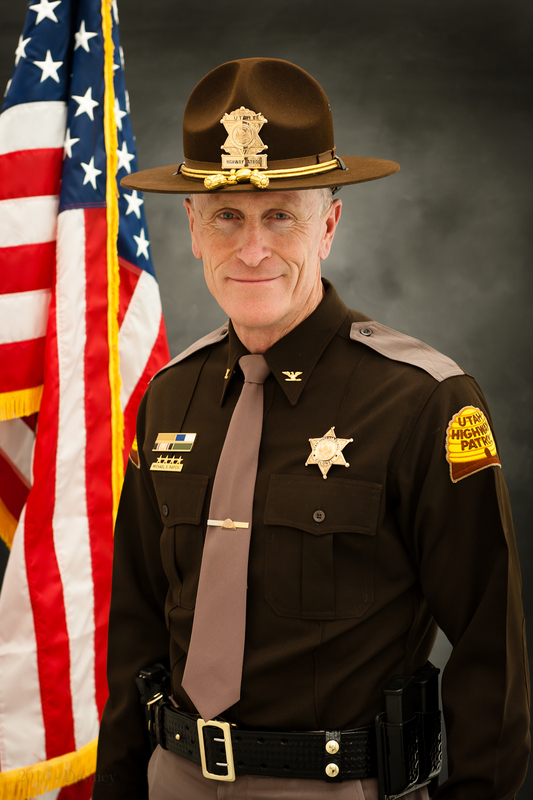 Utah Department of Public Safety Commissioner Keith D. Squires appointed Major Michael Rapich to Colonel of the Utah Highway Patrol (UHP). Colonel Rapich brings 24 years of law enforcement experience to his position, including more than 17 years in a supervisory capacity. Rapich recently completed his Masters in Public Administration degree from Brigham Young University. A native of Green River, Utah Rapich graduated from Green River High School. He then enlisted in the U.S. Coast Guard where he served as a motor lifeboat Coxswain. After serving in the Coast Guard, Rapich received his Bachelor of Science degree in Criminal Justice from Columbia College. Colonel Rapich has progressed up through the ranks of the Patrol, and has been stationed throughout Utah, including rural and urban communities. He was one of the first members of the UHP DUI squad when it was originally established in 1994. Prior to serving a six year term as Major of the Highway Patrol, Rapich was the Bureau Commander of the State Bureau of Investigations. In 2010, Colonel Rapich graduated from the FBI’s National Academy. He is also graduate of the Northwestern School of Staff and Command. Rapich served as Deputy Commander for the Homeland Security Task Force during the 2002 Winter Olympics. Colonel Rapich comes from a family line of patrol men. His father dedicated 32 years to the Highway Patrol before retiring as a Captain. Rapich represents the Commissioner on the board for the Utah Communications Authority and the Operation Lifesaver Board. Rapich lives in Tooele County with his wife Karrie and two sons, Jeremy and Wyatt. Congratulations, Colonel Rapich, on your new appointment!